Talented coauthor and dear friend – Leanna Renee Hieber – shared with me an opportunity to contribute for an upcoming anthology. She and I are among those asked to blur the line between fact and fiction in each of our separate pieces. During the writing I was able to refer to a pair of maps I’d made over ten years ago. At that time I was playing an online game that was a little light on details. 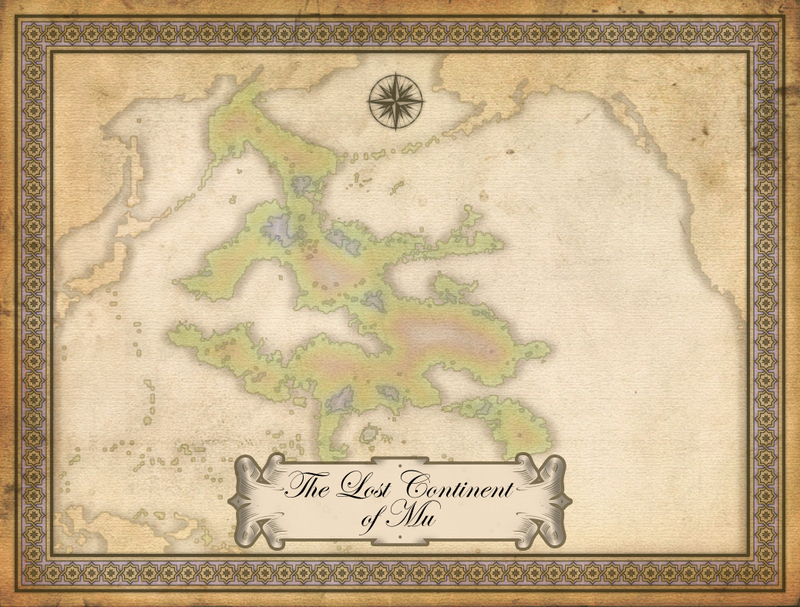 Maps of Lemuria and Mu were made to assist other players in visualizing the play environment. And since they took a rather long time to create, I saved the files. I’m truly glad I did. 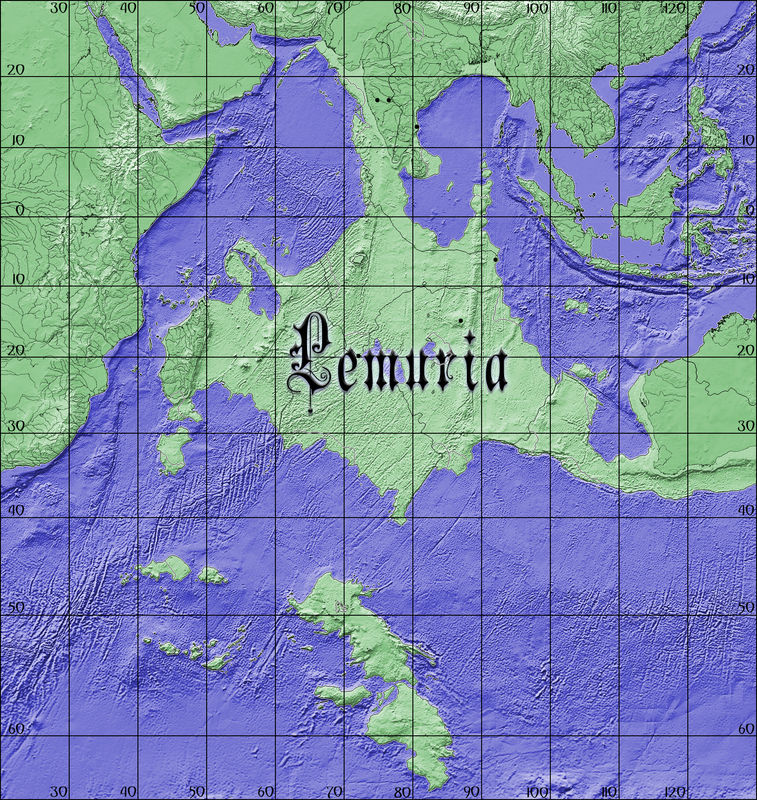 The artistic approach for the fabled sunken continent of Lemuria began with a bathymetric map of the Indian Ocean and the coastlines provided by theory. In the case of Mu, there is not a precise border so the coast used a similar process to build out that of real, existing islands. 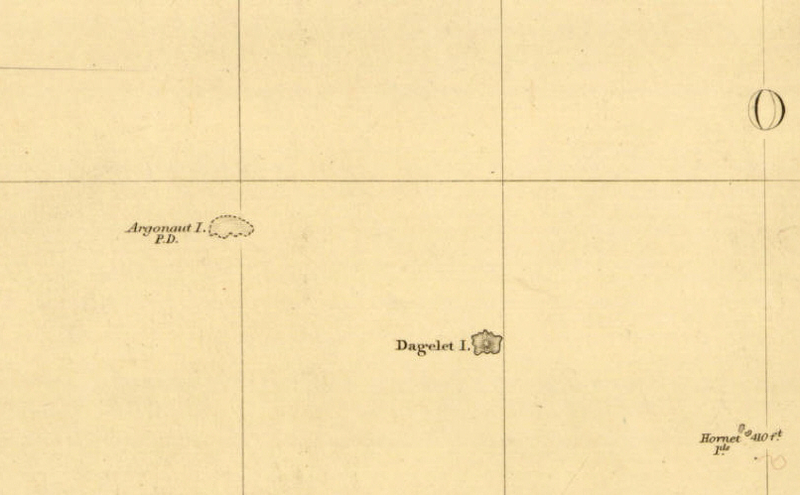 In the online game mentioned above, these maps were to record fictional claims on imaginary lands. They were used while I wrote to keep certain details straight. Sunken continents have always fascinated me – at least since 2nd grade. It seems odd that we’re taught the myth of Atlantis before the dynamics of continental drift. Details about the anthology can’t be provided here but updates will be when available and appropriate. I’m curious how each contributed piece (mine and that from Ms. Hieber included) might work together as a whole. When it is released, I believe I’ll be reading it with the same sense of wonder I hope other readers will. Since I remembered Teiresias from grade school lessons about Greek and Roman mythology, I rather assumed he was a famous seer. In some recent conversations, it turns out he’s not that famous. I find the character fascinating because he stands in so many thresholds at once – between mortal and divine, sighted and blinded, male and female, and the present and possible futures. If Odysseus’ visit to Hades is included, the liminality of this world and the Underworld is added. And for a persona so involved with seeing the future and curses of the gods, it seems odd that none of the stories about him (or her – as “Teireseia” in the novel I’m writing, A Song Heard in the Future) directly involve the Fates. It seems a glaring omission, to be honest. Chorus: Who then is the helmsman of Ananke (Necessity)? Prometheus: The three-shaped Fates and mindful Erinyes (Furies). Chorus: Can it be that Zeus has less power than they do? Prometheus: Yes, in that even he cannot escape what is foretold. Within the talk it was meant as a reference to how much one person can do in 24 hours and within reason. It isn’t fair to measure one person by one day’s work and another by that of a decade. But in this post it means that each day can be a journey – even when it is a slice of the experience of someone who can see the future. 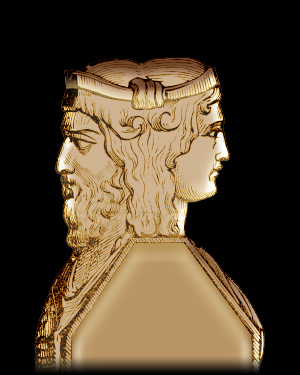 Janus was the Roman god of Start and Change. He was also the deity of doorways. It does not seem that there was a Greek equivalent. I am beginning to wonder if it shouldn’t have been Teiresias. Researching Greek mythology has worked better for me having adopted the view that the entire record is of a “shared fiction universe”. The best known stories from Pandora to Aeneas – and everyone in between – exist as amalgamations of many ancient tellings. Not every detail is identical when comparisons are made. There are certain contradictions, given multiple accounts, that are impossible to reconcile. The best example may be what happens when trying to establish the route of the Argonauts and duration of their travels. No fewer than five chroniclers of Jason’s journey draw widely different lines on the map between Colchis and Iolcus. If the trip was ever made, there can only have been one return trip. At least four maps are wrong. Pindar and Hecataeus can’t be right because the world isn’t actually shaped as they thought it was. (One cannot sail from the Caspian Sea around the Arabian Peninsula to the source of the Nile.) The route chosen by Timaeus could be right but the surviving heroes would have taken years to return, not mere months. There is quite a bit of portaging involved in the path Apollonius of Rhodes prefers – including over the Alps. Helping drag a penteconter over a mountain pass is low on my to do list. How a tale is told and what choices the author makes depend on intent. But they also reveal assumptions by the author and the zeitgeist in which he or she writes. When the world was small and known, exploration was not a virtue and therefore wasn’t an activity heroes got up to. Henriette Mertz postulated that the Argonauts’ adventures took place largely in the Americas and suggests a Western Civilization emphasis. She moves Colchis from the Southern Caucasus to western Bolivia, South America, making it a metaphor of Tiwanaku. In A Song Heard in the Future, two of the major characters about whom I’m writing do become Argonauts. One is a daughter of Teiresias and the other is a man who plays a very important – if symbolic – role toward the end of the Heroic Age. I cannot say I’m completely aware of what may be my own biases. 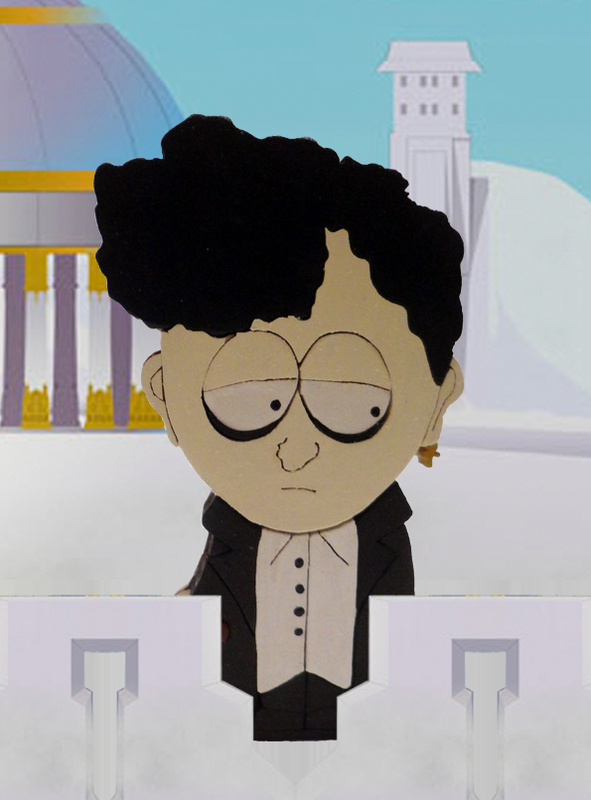 Nor would I be able to assess to what extent I think in terms of the zeitgeist. I’m as eager to find out as I hope future readers may be. The exploration of self may unavoidably be part of writing any novel (whether I draw a map or not). I hope that can mean writing a book is an invitation. The Ancient Greeks do not seem to have had vampires, per se. There is the vrykolakas but this creature seems to have been important from the Romanian night (vârcolac). Furthermore, the ‘lakas would have been more of a werewolf than anything nosferatu (nesuferitu). The spirit of anyone properly buried was transported to the Underworld, where they promptly forgot much of their mortal lives – if not all. I can’t remember if I wanted to have Teiresias do battle with some sort of strigoi (also, btw, Romanian). What I might have had a vampire do in Song I now cannot recall. I’m not certain whether that is fitting or ironic. Over this past weekend, however, my co-author (Leanna Renee Hieber) and I discussed the concepts of a culture and the statements collectively made by it – in its folklore – about its own philosophical assumptions. What does it mean if you (as a society) have to outsource certain folkloric descriptions over the river at the border? The musing on this theme likely won’t have emphasis in Song – but Leanna and I probably will present it as a panel at an upcoming convention.